Your grandma fill your heart with a love that grows more beautiful with each passing day. Now, celebrate the blessings for grandma with a birthstone pendant made just for you. Our personalized Grandma Crystal Heart Necklace signifies how important she is in your life. 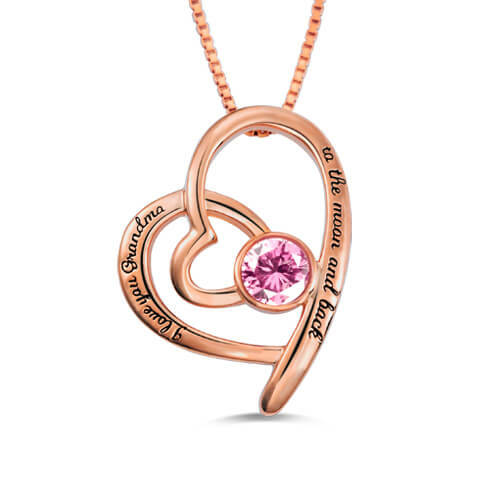 this engraved pendant says "I love You Grandma" on the front and holds 1 special birthstone inside as your choice. 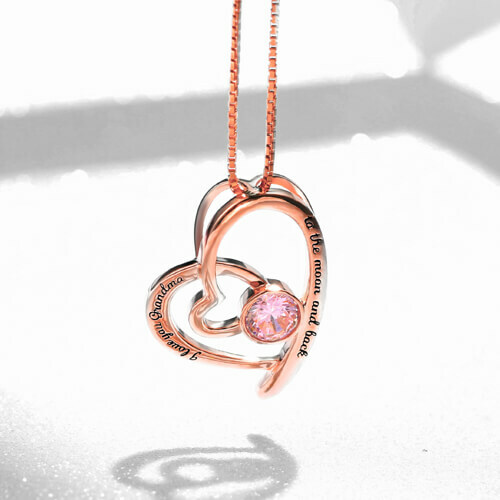 Expertly Handcrafted with 100% 925 sterling silver, this elegant tribute to grandma is a sparkling birthstone pendant of unique design. Make this the perfect personalized gift for grandma.An elegant keepsake and the perfect gift for a grandma.